Boris Johnson is a leading Conservative Politician. He served as Mayor of London for two terms 2008-16, overseeing the 2012 London Olympics. He also played a leading role in the 2016 “Vote Leave” campaign on the EU referendum, afterwards becoming Foreign Secretary. He is one of Britain’s most high profile politicians, renowned for his eccentric approach to life. He has been touted as a potential future leader of the Conservative party. Boris Johnson was born on 19th June 1964. His full name is actually, Alexander Boris de Pfeffel Johnson, but chooses to use the shortened version of Boris. The media have often referred to him as “Bozzer”. Instead, he pursued a career in journalism. In 1987 he worked as a journalist for the Times, but he was sacked from the Times by editor Charles Wilson for inventing a quote by historian Colin Lucas. After the Times, he moved to the Telegraph where he was appointed to Brussels to cover European issues. At the Telegraph he carved out a niche – writing humorous, Europsceptic articles, which were warmly received by the Telegraph readership. Johnson was criticised by fellow journalists for writing untruths and making up stories to discredit the European Commission. However, the articles had a powerful impact on UK politics, increasing tensions within the Conservative Party, and raising the profile of Euro-scepticism. In 1999, his profile led him to be hired as editor of the Spectator; his position led to considerable controversy. Not least, over an editorial criticising the people of Liverpool for being “overly sentimental” in response to the murder of British hostage Ken Bigley. The editorial created uproar in Liverpool; Boris Johnson was forced by his party leader Michael Howard to travel to Liverpool to apologise for his behaviour. Boris did go to Liverpool though he faced a frosty reaction. 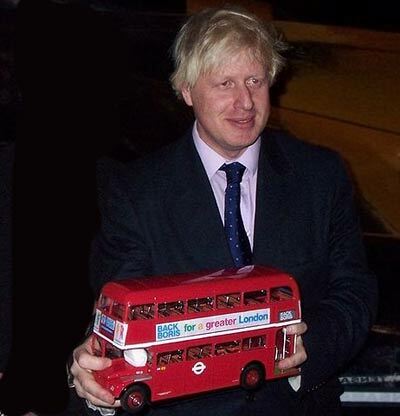 In 2001, Boris Johnson was elected an MP for Henley on Thames, replacing Michael Heseltine. In 2004 he was appointed shadow minister for the arts. However, in November 2004, he was forced to resign over allegations of an extramarital affair with Petronella Wyatt. In 2005, he was reprieved and given the position of shadow minister for education. In 2006, allegations of another extramarital affair arose, but David Cameron did not consider it sufficient to deserve a sacking. In 2015, he was elected MP for Uxbridge and South Ruislip. 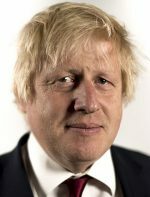 From 2008-16, Johnson served as Mayor of London becoming one of the highest-profile politicians in the UK. He has often been rumoured as a credible leadership candidate for the Conservative party, though he often denied this. In 2012, Johnson was re-elected Mayor of London, again defeating Ken Livingstone. How did Boris Johnson become Mayor of London? Ability to turn gaffes into public relation successes. An appeal to young people across traditional party boundaries. Gave the impression of charismatic and unique personality, an increasing rarity in modern politics. It was partly a backlash against the Labour government in 2007, but primarily because of Johnson’s personal profile. It is rare for Conservatives to do well in London. Boris is well known for his love of cycling and frequently commutes to work through the busy streets of London. As mayor of London, he implemented an existing idea to provide hire bikes in London. For a time, they became known as the “Boris Bike”. He has had many bikes stolen and has written extensively on the injustice of bike theft. For example, he notes that on having a bike stole people usually respond by criticising the cyclist for not taking sufficient precautions or buying a bike that is too flash. He admits that he has fantasised over leaving dummy bikes as bait for thieves and then setting the Navy Seals on to the criminals. In 1998 Boris Johnson first appeared on Have I Got News for You. His appearance was considered a success, and he was invited back for future episodes and also twice to host the show. Johnson’s comedy persona of playing the ‘Upper-Class Twit’ made him a media celebrity and raised his profile beyond the political class. Usually, the show lasts for 30 minutes. With Boris in the chair, there were frequent pauses and extra time getting through questions. 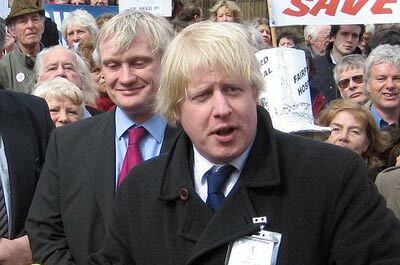 Merton and Hislop affectionately refer to Johnson as “Wodehousian”, and agree that “every time he’s on it gets better”. In February 2016, Boris Johnson announced he would back the Vote Leave campaign. His decision to support Vote Leave rather than the PM’s ‘Remain’ campaign was seen as a highly influential decision – as his high profile could swing many undecided voters. Johnson, who had previously spoken of the benefits of the Single Market, stated it was a difficult decision. Indeed Boris Johnson wrote two articles – one supporting Leave, one supporting Remain. He stated he wrote two different articles to help make up his mind. Critics argued it showed his insincerity and some feel his decision to support Vote Leave was partly motivated by the belief it would help best his political career. On the eve of the Referendum, Johnson appeared on a live TV debate and declared 23 June could be “Britain’s independence day”. Against many expectations, Britain voted to leave EU by a majority of 52% – 48%. After the result, the Prime Minister David Cameron resigned, leading to a leadership campaign for the Conservative Party. It was expected Boris Johnson would be the front-runner as he was the most popular with party activists. However, to many people’s surprise, his fellow Vote Leave campaigner Michael Gove announced his decision to stand, causing Johnson to re-evaluate and unexpectedly announce he would not stand after all. In the end, Theresa May, who nominally supported Vote Remain was chosen as party leader. Despite differences with Theresa May, she appointed Johnson as Foreign Secretary. Citation: Pettinger, Tejvan. “Biography of Boris Johnson”, Oxford, UK. www.biographyonline.net, 11th Feb 2013. Updated 3rd February 2017. 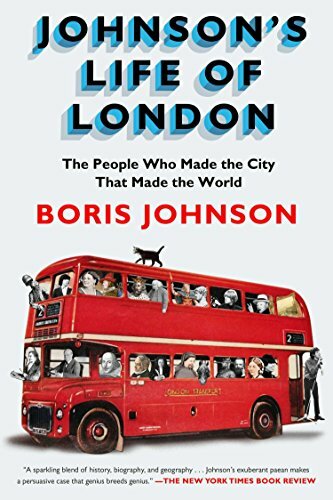 Boris Johnson has authored several books on Ancient Rome, Winston Churchill and a best selling account of the history of London. Boris Johnson, Sunday Times, 16 July 2000, p. 17. The Herald (Glasgow), 13 November 2004, p. 15.